YES! Here’s Hope for you: JESUS Cares for YOU. “Now may the God of hope fill you with all joy and peace in believing, that you may abound in hope by the power of the Holy Spirit” (Romans 15:13). Pray that God will guide you on the Road to Hope, the Road to Jesus and His Care for You. You need power to have hope. Only one power is capable of giving you hope. The Bible tells us God has that power. “I am not ashamed of the gospel of Christ: for it is the power of God unto salvation to everyone that believes” (Romans 1:16). Pray that God will reveal the gospel of Christ to you and believe that you will receive it. Watch as your life is transformed by the power of hope. JESUS LOVES YOU AND IS WAITING! 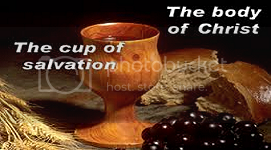 Categories: Devotionals, Evangelism | Tags: God of Hope, Gospel of Christ, hope, hope of the resurrection, Jesus cares, Jesus loves you, Power of God, Power of Hope, Power of the Holy Spirit, pray, Road to Hope, Road to Jesus | Permalink. Now is the time for Christians to glow with the very body of Jesus Christ in them in every aspect of their lives. Show forgiveness when abused, turn the other cheek when confronted, pray for those who persecute you and mistreat you, never returning hate for hate but let the unsurpassed love of God triumph. Jesus I pray that you will strengthen your Church, the body of Christ, and through the body by the grace and power of the Holy Spirit bring a powerful spiritual awakening and revival to this nation, the United States of America. I pray all to Your glory in Your holy name, Amen. Categories: Evangelism | Tags: body of Jesus Christ, change our nation, faith, fruits of the Spirit, God's love, grace, Jesus Christ, let your light shine, love, peace, pray, pray for the United States of America, pray to God, revival | Permalink. The bible says that the way the world is today is the way it was in the days of Noah. Things will probably get much worse as the end has not yet come upon the world as described in Matthew 24. In Matthew 24 Jesus Himself answers the question of when the end shall come and what it would be like. If you believe the Word of God is true and that Jesus is the Word of God (John 1:1); then, the world in Noah’s day was as technologically equal to or more so than the world today. They had about two thousand years to develop technology and lived to be about eight or nine hundred years old, just think what Einstein could have accomplished in nine hundred years. These are what I like to refer to as provoking thoughts. Mark 16:15 Go ye into all the world, and preach the gospel to every creature. Why these provoking thoughts now? Because so many things mentioned in Matthew 24 have already happened and are happening as I write and there are billions of people in this world who are unsaved and God clearly states in Matthew 24:14 And this gospel of the kingdom shall be preached in all the world for a witness unto all nations; and then shall the end come. We have a God given command to make sure everyone on earth has an opportunity to know about the saving grace and gospel of Jesus Christ so they can share in the glory God has waiting for them. God promises eternal life, a new perfect body, a new name, a new residence, a new city, a new world, a great reward, you will be a king and a priest and share His glory and His throne. Jesus came to this earth and became human flesh to establish His Church and shed His blood on the cross for the remission of all sins while all mankind was still in their sins. Jesus died on that cross in your place so you could live forever and receive the promises mentioned above. Unsaved people are having the gospel shared with them by radio, TV, in the church pulpit, missionaries and by personal witnessing. But the fact remains that there are not enough unsaved people being reached by these means. But when God made the internet available, for the first time in history every household in the world can be reached directly or indirectly as never before. If you are one of those that is being reached by the internet for the first time and are hearing about salvation through Jesus Christ right now, then praise be to God because you have the blessing of hearing about the God who created the heavens and the earth. Who loves you so much, that His Son Jesus willingly died on the cross, as the supreme atonement sacrifice for all mankind, so you could be saved and live in heaven with Him forever. I pray that God open your heart to His Truth, now, as you read this and receive Christ as your savior. Pray for this salvation and you will receive it. In Jesus name, amen! 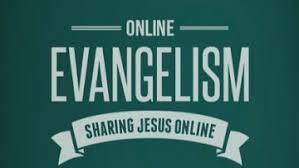 Categories: Evangelism | Tags: believe God, body of Jesus Christ, eternal life, glory of the Lord, grace, heaven, Jesus Christ, Kingdom of God, pray, PRAY FOR THE UNSAVED, prayer, preach the Gospel, salvation, the cross, Truth of God | Permalink.